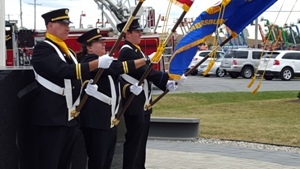 The Chambersburg Fire Department Honor Guard presented colors at the Historic Letterkenny Chapel Annual 9/11 Memorial Service. 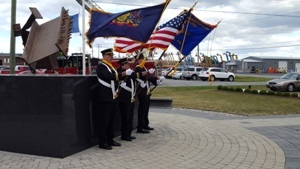 Ladder trucks from Letterkenny Army Depot Fire Department (Station #13) and the Cumberland Valley Hose Company #2 of Shippensburg (Station 53) formed the memorial arch commemorating all emergency responders and military personnel. 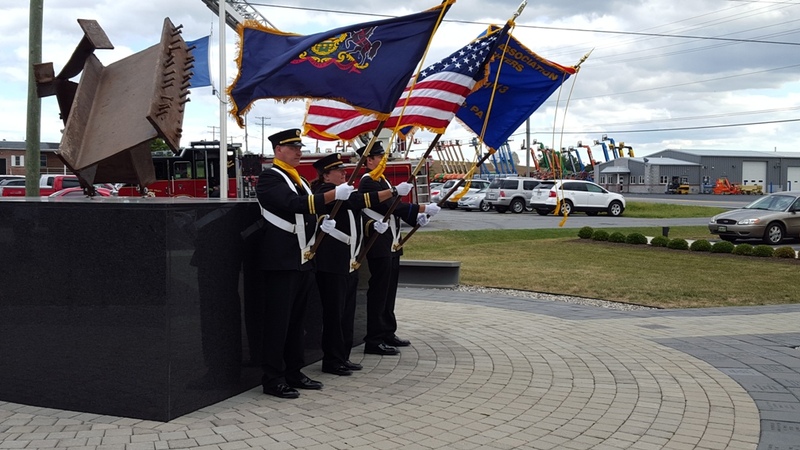 VFW Honor Guard, CASHS ROTC Honor Guard, and CFD Honor Guard to include Captain Tim Ebersole, Captain Jackie Umberger, and Firefighter Jeremy Heckman were in attendance. Staffing Truck 13 were Firefighters Shawn Shade and Kevin Wagaman; members staffing Engine 53 were Driver/Operator Steve Moffatt and Firefighters Dakota Lanious, Roger Byers, and Stephen Pringle. Thanks to all who supported this Memorial Service, honored the sacrifices of first responders, and remembered the spirit of unity that emerged in the aftermath of 9/11.